I can’t tell who’s done and who’s not. I want to avoid interrupting them if they don’t need to be interrupted. I’ve read a lot about how interruptions affect our brains, and I’d like to prevent myself from being the cause of that kind of brain disaster. I need to distinguish those who have a question but can keep working from those who are dead in the water. I’m sure there are loads of variations of these (after all, teaching is the art of stealing from other, often better, teachers), but I thought I’d share mine in case someone wants to try them. I find them super, super useful. 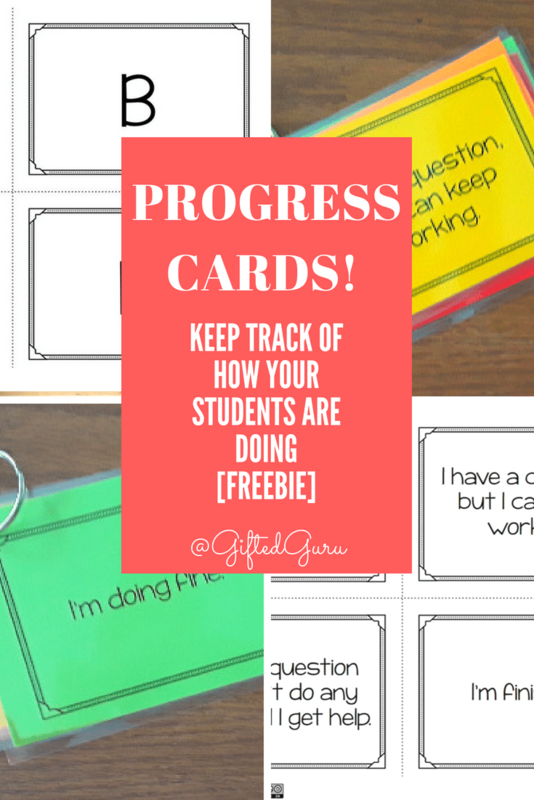 The progress cards are two-sided, with four statements on one side. On the other side, there is a letter (A – D) and another statement. Each card is the color indicated in parentheses. While students are working independently or in groups, they use the cards to show me how they’re doing. They’re working and everything is fine. They have no questions, they’re using their time and materials effectively, they’ve got no tech issues, and they don’t need anything. 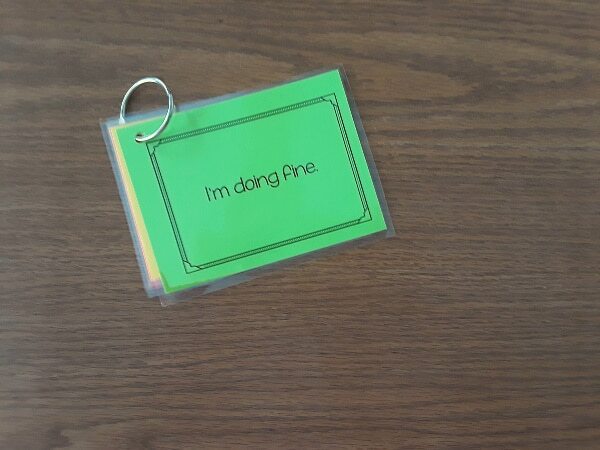 They would have the GREEN “I’m doing fine” card on top. They’re working and have a question or they are struggling with using their time or materials. Maybe they have a tech issue. They need help, but they can keep working in the meantime. 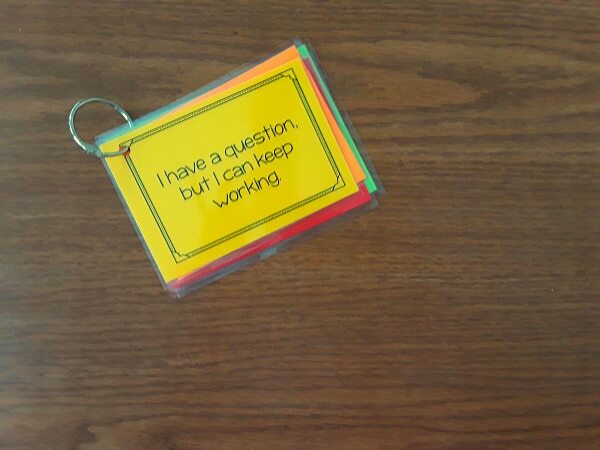 They would have the YELLOW “I have a question, but I can keep working” card on top. They’re experiencing a complete work stoppage. They have a question or a problem that has them dead in the water. 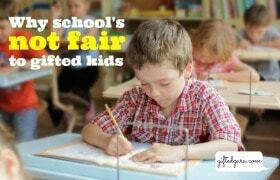 No progress can be made until this is addressed. They would have the ORANGE “I have a question, and I can’t do any more until I get help” card on top. There’s nothing like looking around a classroom with the desks a sea of green. Sigh. Who am I kidding? That only ever lasts three minutes. But it’s a glorious three minutes, friends. I use the A/B/C/D side to make them do double duty. Now, I can check for understanding with multiple choice questions or colors. If I ask a multiple choice question, students hold up their cards that match the answer they choose. 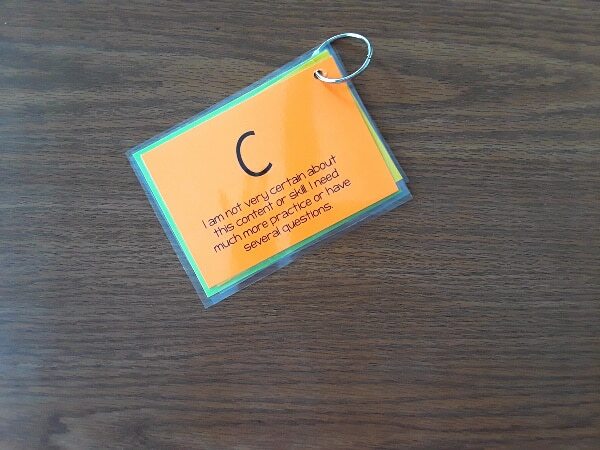 If I’m checking for understanding, the students can choose the color whose statement matches their level of understanding and hold it up or even leaving it lying on the desk. I can then see who needs more help. You can print them on the colored card stock from the beginning if you are brave prefer. I always mess it up, and card stock is expensive, so I just print the paper first. You can change the colors if you would prefer to use some other family of colors. You can print them on the colored card stock from the beginning if you are brave prefer. It’s important that each card has its own color and that everyone’s cards are the same (All “I’m doing fine” cards are the same color, etc..). I cut them up, and then I laminate mine for durability (and because, let’s face it, laminating with this baby is partly why I’m a teacher). I sort them into sets (one card of each color). I then punch a hole in the upper left-hand corner of each card, run a metal ring through all four, and voilá, Progress Cards! It works beautifully to put a wire Command hook on each desk from which the ring can hang. Would you like to try them? You can download them for free. I hope that these work as well for you as they do for me. Any questions? Thoughts? Ideas? Variations? 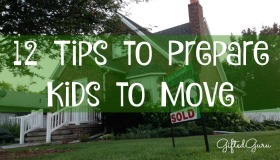 If you like ideas like this, you may like my free monthly newsletter. Oh my goodness. I love this so much! Thank you! These are great! I’ve usually seen them used in elementary classrooms…any thoughts about using them in a 6th or 7th grade setting? I used these almost exclusively in my high school class!!!! Thank you for your posts. They always make a difference for me and I LOVE your ideas! Thank you so much. It really means a lot to me, as posting can be a lonely business!